Michelle Wildgen: Do you have a go-to trick to get recalcitrant characters to come alive for you -- the way a parent might broach a sensitive topic with a kid while driving? 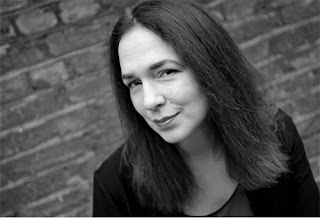 Lorrie Moore: Sadly, all my characters are alive for me. Even the ones that seem like zombies to others. So it's not me they must come alive for. But if characters seem dead on the page, they simply need to say or do more. Or they need to have a really interesting thought. Or a thought so banal it's interesting. Or they need to be killed or maybe not killed but just roughed up a little or they need to be driven out of town on a rail, an expression I've never used before and so am not highly confident about its meaning. Also? I never talk about sensitive matters with my kid while driving. Okay, end quote. "Character" is a big interest of mine in this blog/podcast -- how writers create characters, and how we all create our own characters, as if writing them. If Lorrie Moore brings her characters alive to readers by having them do or say more, or get killed or roughed up, then what (if anything) does this mean for how we communicate own personal characters to other people? Hopefully not get roughed up! An open question.